Hyannis, MA---March 19, 2019 Cape Cod Synagogue and Habitat for Humanity Cape Cod are joining together for a 2nd year to present a benefit raffle that will give away $10,000 in prize money to 5 lucky winners. Cape Cod Synagogue has hosted this raffle fundraiser for over a decade and last year chose to collaborate with Habitat for Humanity of Cape Cod to increase the volume of ticket holders to 500 tickets and spread the wealth of the proceeds from the benefit to their long-standing partner in humanitarian work. Jewish tradition dictates that Tzedakah (the moral obligation of charitable giving) is one of the highest of all commandments, to give to all people in need both in the Jewish community and to the world. Cape Cod Synagogue has been a supporter of Habitat’s work on Cape Cod for many years led by Rabbi David Freelund and a number of synagogue congregants who help Habitat to build homes in the community. The $10,000 raffle is going on now and consumers can purchase tickets at $80 each for a chance to win one $5,000 prize, one $3,000 prize, one $1,000 prize or one of two $500 prizes. Winning numbers will be pulled on May 11, 2019 at the event’s Raffle Party scheduled to take place at the Cape Cod Synagogue at 7:00pm. Ticket holders do not need to attend the party in order to win cash prizes. Ticket holders do have the opportunity for entrance of 2 persons to attend the party with food and drinks provided along with dancing and music to the sounds of the Grab Brothers Band. Over 400 people were in attendance at last year’s party. Proceeds from the event will be split between the Cape Cod Synagogue and Habitat for Humanity Cape Cod. Food and beverage and band sponsorship opportunities are available by contacting the synagogue’s Ways and Means co-chairs Linda Arnowitt at lindaarnowitt@gmail.com (or) Donna Giberti at dmdgrafics@aol.com (or) Adrianne Wytas of Habitat at events@habitatcapecod.org. Thank you to the event’s first sponsor: Shepley Wood Products, located in Hyannis. Cape Cod Synagogue, approaching their 85th year, has sustained a dynamic culture for Reform Jewish identity on Cape Cod while being a prominent organization that helps individuals and families regardless of their religious affiliation. Cape Cod Synagogue has made significant contributions in response to important social justice issues and needs that affect all of our residents. Cape Cod Synagogue is welcoming and inclusive of the LGBTQ community; has been instrumental in providing for the homeless, ailing, and those experiencing hardship; and helps numerous families with their individual needs. The Synagogue also plays a leading role in the interfaith community by taking part in, and hosting services and programs throughout the year. 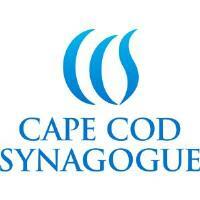 To learn more about Cape Cod Synagogue, visit https://capecodsynagogue.org. Habitat for Humanity of Cape Cod has developed over 135 affordable homes on Cape Cod. With the support of Habitat and community contributors, Habitat homeowners achieve the strength, stability and self-reliance they need to build a better life for themselves and their families. Habitat is an ecumenical housing ministry that seeks to make decent, affordable shelter a matter of conscience and action. Partnership is key to Habitat’s work and invites people of all backgrounds, regardless of race, religion, age, gender, political views, or any other distinction that divides people to build houses alongside the future owners. Habitat for Humanity Cape Cod has built homes in all 15 towns on Cape Cod. To learn more about Habitat for Humanity Cape Cod, visit http://habitatcapecod.org.